“but looked better, even, than during recent appearances in which he has been gaunt and used a cane. Cheney even threw in a couple of political plugs amid much reminiscing at the Wyoming Republican Party state convention in Cheyenne. “He said it’s never been more important than now to defeat a sitting president, and the Republican Party should unite behind Romney. 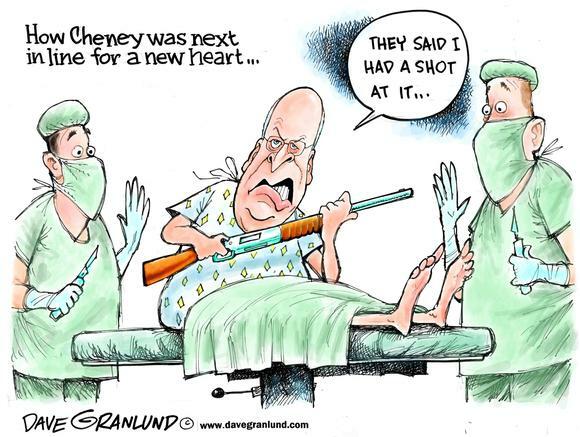 “Nearly all of the talk traced the more than 40 years of Cheney’s political career, including the controversial waterboarding and other interrogation practices the Bush administration employed to extract information from terrorism suspects.